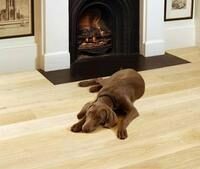 Do you have a few questions about wood floor sanding and finishing in the Walthamstow area E17? Is the Pope a Catholic? Here are a few of the more popular questions we’ve fielded over our 20 years in the business. Don’t worry if yours is not here – just drop us a line and we’ll do everything we can to help you out. I WANT TO DECORATE - SHOULD I DO THIS BEFORE OR AFTER? If you’re planning on decorating a room as well as having the flooring renovated you should do the decorating first. This is especially important if you’re having work done on your plumbing or electrics. The Walthamstow floor sanding and finishing teams are very tidy and clean up before they leave, but there may be some unavoidable minor scuffing to your skirting boards which can easily be touched up later on. This is nothing compared to splashing paint on your newly renovated floor or having to pull up sections of new flooring to access pipes or wires! Do any decorating before we arrive. HOW LONG WILL MY ROOM BE OFF LIMITS? A room which measures an average 10ft by 12ft, such as a dining room or kitchen, will take a day to repair and sand, a further day to apply an eco-friendly finish and two to three more days for the finish to cure thoroughly after we’ve gone. CAN I LEAVE THE GAPS? We always recommend that you have gaps between floorboards filled in because in ground floor rooms and hallways there’s the likelihood of draughts being set up between airbricks in outer walls and gaps in the flooring here. Equally, gaps should also be filled in bathrooms and kitchens because these are rooms where spillage is most likely to occur and you don’t want liquid penetrating to the sub-floor spaces to cause damp and rot in the timbers. We don’t use the types of general purpose wood fillers you can pick up in a DIY outlet because these tend to shrink as they harden and crumble between the boards. We use instead specialist fillers containing resin and silicon compounds which will form a rock-hard, permanent seal that won’t get sucked up by a vacuum cleaner or be trodden deeper into the gaps. ​WILL I NEED TO CARRY OUT ANY MAINTENANCE? All you need to do to keep your newly renovated floor looking great for many years is to treat it reasonably well. It’s best not to wear shoes indoors, for instance, and you should use appropriately positioned doormats. We also recommend that you have your new floor buffed and polished every couple of years or so, depending on traffic levels. Contact us to find out more concerning regular maintenance tasks like these and we’ll be happy to help. 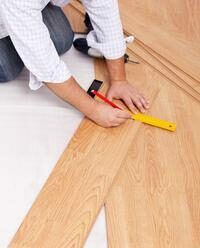 ​​​SHOULD I CUT MY LOSSES AND JUST LAY NEW WOODEN FLOORING? We’ve found that in the vast majority of the floors we’ve come across the sheer mess that greets you when you lift the carpet can seem daunting. Many customers have suggested that their newly revealed flooring looks so atrocious that they assume we’ll refuse to work on it. In most houses, the wooden floorboards look great once they’ve been smoothly sanded down by the Walthamstow floor sanding experts. 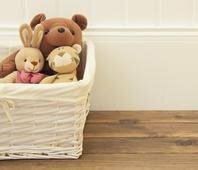 In fact, the underlying wood has usually been kept clean and fresh by the very mess which makes the flooring look so grim when you first see it. Hardened paint and ground-in grime, if not the flattened insects and shed spider skins, will have acted like a layer of armour, preserving the living wood beneath from further harm. 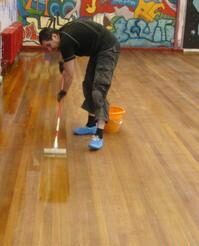 Traffic and maintenance are the deciding factors which will govern the longevity of your newly sanded and finished floor. If you hardly ever clean it and you have a large household including kids and pets you can probably count on it looking good for up to three years before needing attention. If there are only one or two people in the property and you maintain the floor well, you can expect a good decade from it. Give us a call if you have any other questions, and to book a free on-site assessment.